Are you currently pregnant or have a baby at home? Today at Thrifty Nifty Mommy, Janessa is sharing tips on how to find the BEST baby deals and save the most money during baby's first few years! You probably never even realized how quickly expenses like diapers and formula would add up before becoming a parent. 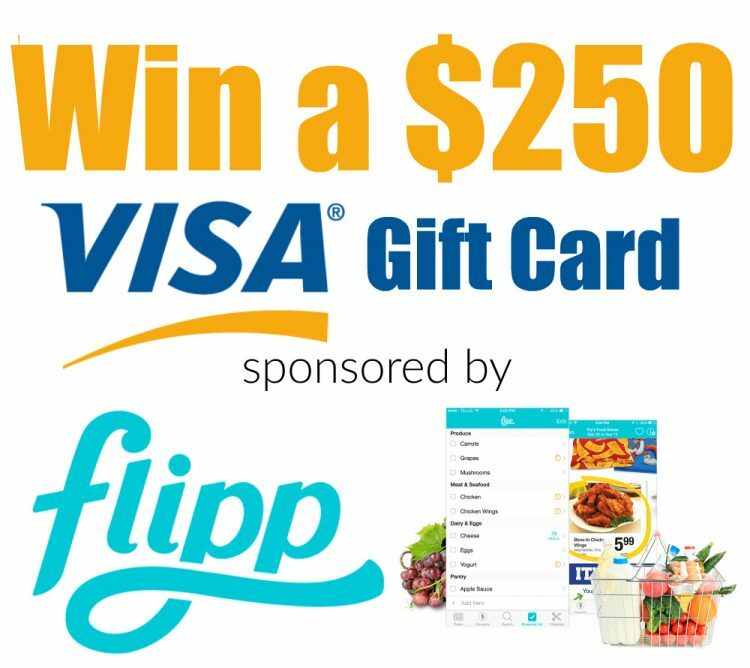 If you'd like a chance to win the $250 Visa gift card, sponsored by Flipp, just enter using the Giveaway Tools entry form below. Disclosures: Prize fulfillment is the responsibility of Flipp. This giveaway is open to residents of the US who are 18 years of age or older. Void where prohibited. This giveaway is not associated with Facebook, Twitter, YouTube, Pinterest, or Instagram. MBP is not responsible for winner notification or prize fulfillment.